Learn how to download or export any file from Storage. We make it convenient to store files related to your production in a single location. It saves you the hassle of searching multiple drives for documents, and you can even share or have teammates access the files directly from your account. Select a folder to open. Inside your folder, hover over a file and click Download. You can store any type of file or document in your file manager. This makes it convenient for all account teammates to have access to important files. Store PDFs, docs, sound and video files! Can I upload multiple documents under different categories? If you're looking to track your contracts and agreements all on one page, the Storage functionality should do the trick. 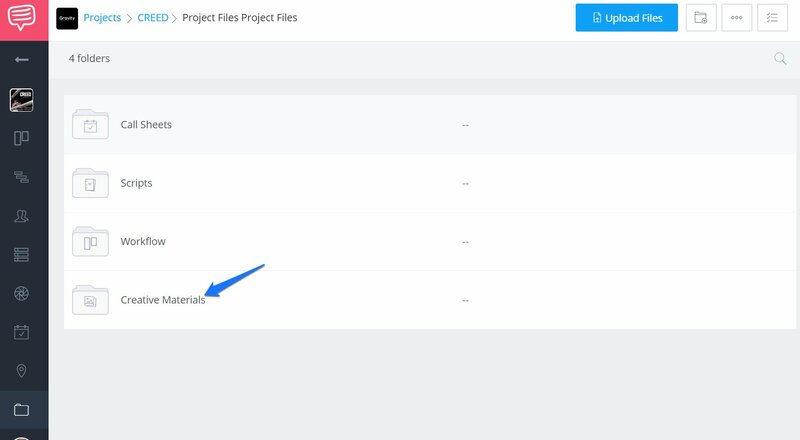 For example, you can create various folders and upload (and backup) files such as Location Agreements, Cast contracts, Crew Deal Memos, etc. Always name or label your files accordingly to avoid confusion when searching for files and documents. To avoid having your information leak before the project is over, only allow access to your account to trusted individuals. Note: File attachments are only available on premium plans.